I was a kid in the 70's, I remember the bike shows. Coffin tanks with big titted woman or wizard airbrushed. Metalflake paint. Smoothed out frames filled with Bondo. Long girder front end. Single drum 'break'. The only retro bike I would like to see is the FXR. I know it's better off just left alone. It would be bastardized. 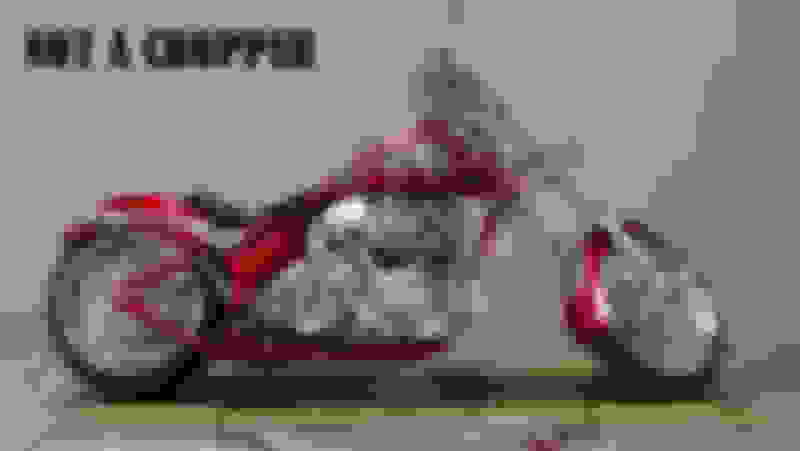 If Honda can sell enough Furys to make them as long as they have a Harley chopper would surely be successful enough to make it worth while. 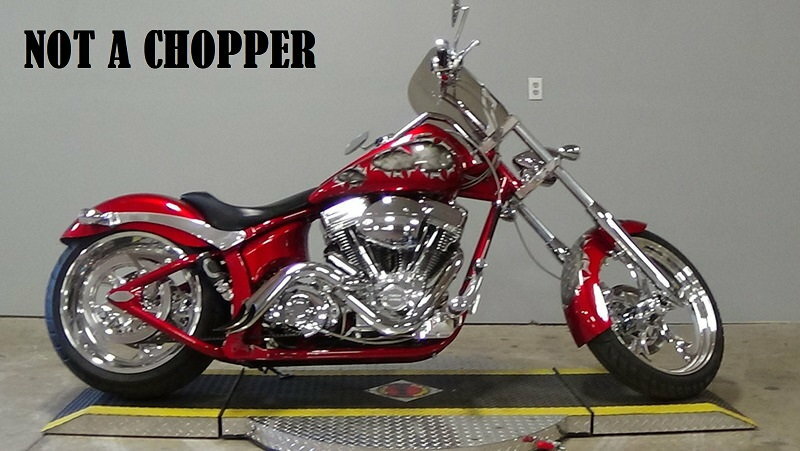 Nothing wrong with buying a chopper; some people dodn't have the incination, time, or ability to build one. 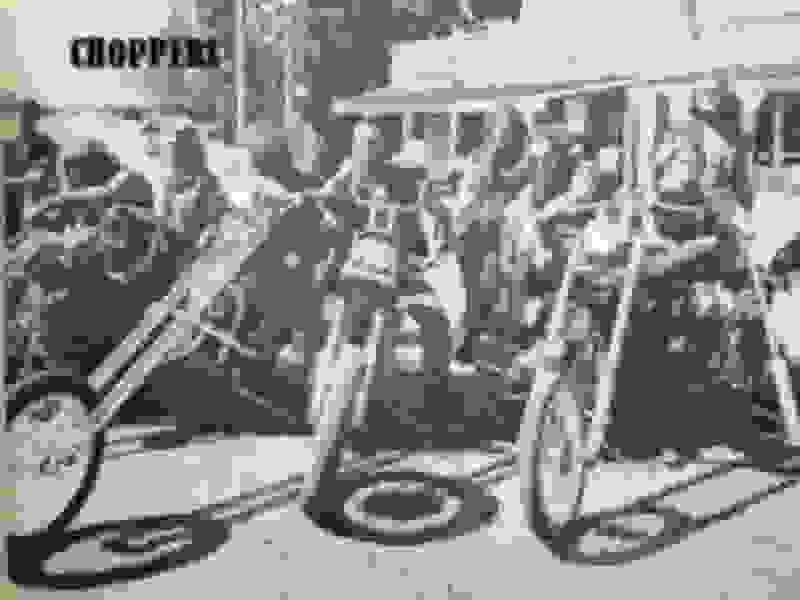 I am one of them...no desire to build a bike, but I love old skool chops. But if the MoCo made one, I guarantee it would look like ***, again with that stupid looking bobbed rear fender I'm always bitching about. If I were in charge of design, I would bring back the NightTrain, WITH the original ducktail, gloss black engine covers, & a 117". I wouldn't be able to get to the dealer fast enough to plunk down my cabbage. I would buy one for sure and I think it would sell well. No one said they would not sell...and the resale on the things is prolly 20 cents on the dollar for Store bought. Every time I see a store bought I know I see a wannabee. You don't buy a chopper. You have to build it. Building is the journey you have to make in order to have that one of a kind something that a chopper is. Nobody can build it for you. Riding a chopper you didn't build is the ultimate example of a fraud, dell' impostore, of being a poser. 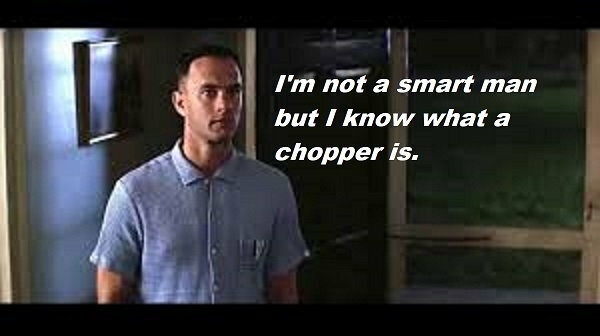 And it's a fact that a majority of riders don't even know what a chopper is. Agreed- explain the origins, then explain why one chooses to be a fraud? Buy it = Pride of ownership. Either one is okay. Whatever works for you. Well, yea its America and do what ya want...sort of. But to appreciate something is to have hands-on, know the pedigree, know the heritage. The "chopper buyer" is a poser. Simple. If you don't/can't build a chopper, you don't deserve one. Another opinion I have to disagree with.